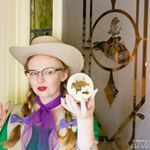 In my last post, where I shared that the ever lovely Jessica of Chronically Vintage did an interview with me, I mentioned I would be attending San Diego Comic Con. Well, I’m home now, and what a weekend! While I’ve been to other cons in the past, this was my first San Diego Comic Con (SDCC), which is the largest and best known con, and is often the event where companies and studios make large announcements and show their first footage from upcoming movies and TV shows. This con now draws in over 100,000 people offers up a massive buffet of panels to attend (everything from movies and TV, to cosplay, to how to break into comics, and much, much more), gaming opportunities, portfolio critiques, and a convention show floor offering unique collectables, including of course comics, exclusive merchandise, and original works by those who are budding in the industry in the Artists’ Alley portion. There is so much to see and do that it is overwhelming! So, first off, I was able to attend SDCC, by pure fluke, through my friend Mel, of Deela Designs, who I met when we both lived in Portland (she moved to the Seattle area shortly after Patrick and I moved to California) at Wizard World Portland. Mel was invited to cosplay as character from the upcoming Assassin’s Creed film by the company who does the game, she was also on a panel about cosplay. I was on my own for most of the con, as Mel was working, though I did get to spend some time with fellow geeky vintage blogger, Carla, of Tiny Angry Crafter, although that girl also had to work at the con. And I failed to get any snaps of myself! But like I said in the post before, I didn’t make any new cosplays, and for one day I wore a Star Wars dress by Her Universe, which I can wear at Disneyland, and plan to do so in the near future and will photograph it there. So, this post is more of a glimpse into what SDCC is like, read about some of the neat panels I went to (like about about Peanuts, and another about Beauty and the Beast), and you’ll get to see all of the goodies I came home with! First thing, SDCC routinely gets the nick name “Line Con” and this is a very real thing. You stand in line to get a wristband for many events, and eventually that will result in you standing in another line later on. You stand in lines for panels (hours for some). And you even stand in line to shop at some booths (which I did for only the Peanuts booth). The first panel I went to was “Snoopy for President: Politics in Peanuts”. Two people on the panel had some pretty amazing jobs, Cesar Gallegos, the archivist for the Charles Schulz Museum and the historian for Hallmark, Samantha Bradbeer. I grew up with Peanuts, mainly because it was the thing my mother collected, and I grew to love the characters as well. In conjunction with the panel, there was a Peanuts Rock the Vote campaign, which even had its own campaign headquarters just across the street, which I went to, and it offered up a display showcasing Schulz’s history with politics and the Snoopy for President campaign that Hallmark did. They also had cute campaign themed merch. I bought a tee shirt from both the campaign HQ and the Peanuts booth. Another panel I went to was for the 25th anniversary of Disney’s Beauty and the Beast. Producer Don Hahn moderated a great group of people including the film’s directors Gary Trousdale and Kirk Wise, along with many of the character designers. They showcased and discussed the development of the film, and the stages characters went through in the design process. I also of course attended the panel that my friend was on, which discussed “designer cosplay” or how to go about redesigning characters to bring a new look to them. Well known cosplayer Ivy Doomkitty was also on the panel, along side Kelton FX and Zach Fischer, who specializes in character redesign for other cosplayers. But I spent most of my time shopping and exploring the floor, which had a large number of booths to shop from, as well as studios showcasing costumes and props from films and TV shows. A highlight was seeing one of Lynda Carter’s original Wonder Woman costumes, and the costumes from Star Wars: Rouge One. I also was sure to stop by to see Mel in action at her booth and later spied an amazing Rocket (with baby Groot!) cosplay. I also did a fair share of shopping and came home with quite a few goodies. It’s important for me to support the artists at cons, so I bought several pieces, including a cute Zootopia print featuring my favorite guys, the dancing tigers, a burlesque book from Nic Ter Horst, and a Dapper Dan piece from Claire Hummel. I also had the pleasure of meeting Greg Evans, the man behind one of my favorite cartoon strips growing up, Luann. And after following The Halloween Kid on Facebook for over a year, I finally got my hands on a copy and meet the creator. But my favorite pieces I bought were from Han Cholo, a company that specializes in awesome geek jewelry. I picked up both a Han in carbonite necklace as well as an Ark of the Covenant necklace. I can’t wait to wear these! I’m not sure if I’ll ever attend SDCC in the future, as I think I prefer the smaller cons, but I’m glad I got this chance to go. Unlike other cons, I wasn’t as prepared for this one, and it wasn’t until after the fact that I learned about a good number of celebrities that I like were in attendance doing signings, which is one thing I really love about cons. So I’m bummed I missed out on those. Going to this con, especially not having a new cosplay really helped in giving me motivation to get back to cosplay. I’ve already opened my sketch book back up and am working on continuing to create Dixie’s costumes from my favorite TV show, The Adventures of Brisco County Jr.
We will return to the regularly scheduled programming of vintage clothing and unique destinations in the next post, I promise! So glad you were able to experience it! Can’t wait to hear more. Thank you so much for sharing some of your favourite highlights from this fabulous event. I love it! I hope someday I get to go to SDCC. Glad you had fun, sorry you didn’t get many outfit pics though, would have loved to seen them. Also I adore Peanuts and have a small collection of Peanut figurines. What fun and what a great experience. Oh wow! so awesome you got the chance to go to THE con of all cons. Thank you for sharing all the awesomeness especially the Snoopy panel I am a major fan. There is a mini-version of this in Chicago but they do not call it a comic con its known as C2E2, Chicago Comic Entertainment Expo. I blogged about the time I went to the Hero’s and Villain’s fest and C2E2 this year my cosplay was Jem from the 1980s cartoon.